Craft breweries and their consumers have revolutionized the global beer markets over the past two decades, ending a century of command of a few global multinationals and the homogenization of beer. They have started small and isolated but eventually transformed a global beer industry. Both consumption and production of beer in Europe have continued to grow, and the number of active microbreweries has now moved above the 7,500 which are providing traditional and innovative craft beers across the region. Europe’s brewers are also ensuring innovative ingredients and diversity that probably no beer consumer has ever had. This factor is growing consumer interest in beer and one of the major drivers behind the growth of craft beer market in Europe. Goldstein Research analyst forecast the Europe craft beer market to expand at a CAGR of 9.1% during the forecast period 2016-2024. Further, the market is anticipated to reach USD 37.8 billion by the end of forecast period. The report covers the present ground scenario and the future growth prospects of the Europe craft beer market for 2016-2024 along with the total revenue of craft beer industry in every region. We calculated the market size and revenue share on the basis of revenue generated per segment and region on a regional, and country level. The revenue forecast is given on the basis of the number of craft beer companies and current growth rate of the market. Based on distribution channel, on-trade distribution of craft beers accounted for a major share of Europe market in 2016, due to high consumption of beer in restaurants, clubs, pubs, and bars. The quantity of craft beer sold through on-trade distribution channel is larger as compared to off-trade distribution. Europe Craft Beer Market Outlook 2016-2024, has been prepared based on an in-depth market analysis from industry experts. The report covers the competitive landscape and current position of major players in the Europe craft beer market. The report also includes Porter's five force model, SWOT analysis, company profiling, business strategies of market players and their business models. Europe craft beer market report also recognizes value chain analysis to understand the cost differentiation to provide a competitive advantage to the existing and new entry players. 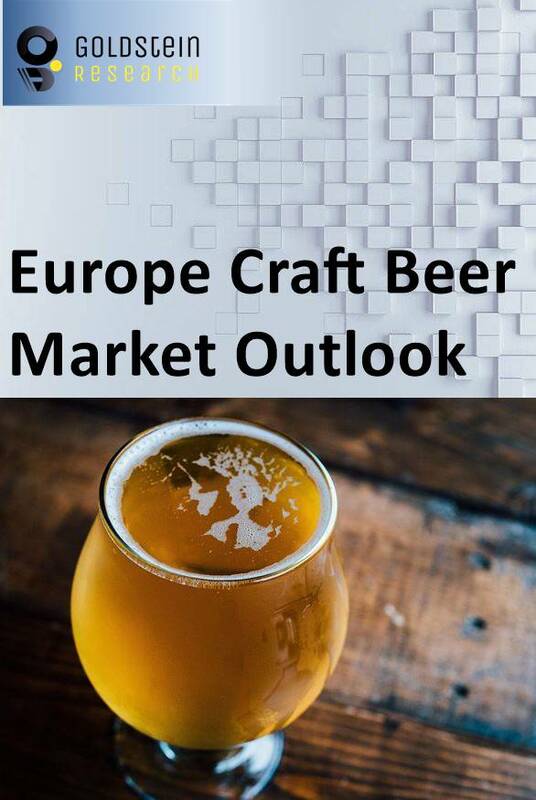 Our Europe Craft Beer market report comprises of the following companies as the key players in the Europe craft beer market: BrewDog, Chimay Brewery, Duvel Moortgat, The Boston Beer Company, MIKKELLER, BEAVERTOWN, AFBrew, Asahi Group Holdings (ASH), Himburgs Braukunstkeller, BUXTON BREWERY, STONE BREWING, Thornbridge Brewery and Van Pur. According to our Europe craft beer market study on the basis of extensive primary and secondary research, one major trend in the market is that there has been a firm shift from craft beer consumption in the on-trade to consumption in the off-trade. However, there have been predominantly vivid changes in the structure of the craft beer industry, with the number of microbreweries almost doubling and an enlarged market share for craft and other specialty beers. According to the report, the major driver in Europe Craft Beer market is growing accessibility of advanced technical equipment and capital allowing brewing on a small scale. Craft beer industry revealed itself to be a profitable business, as a result, new sources of financing have developed and strengthen the start-up of new craft breweries. Banks became more familiar with the developing craft beer industry and started providing start-up capital. Crowdfunding has also reduced entry obstructions for starting up or expanding craft breweries. Further, the report states that one challenge in Europe craft beer market is amplified competition with more than 7,500 brewers are now competing for retail shelf space and bar taps. Another strategic business activity among macro-brewers has been a direct entry into the craft beer segment through acquisitions, which has intensified the competition in Europe’s craft beer market. Geographically, Western Europe accounted for the largest market share with about more than 75% revenue share in Europe craft beer market. The United Kingdom accounted for the largest market for craft Beer in Europe with more than 2500 microbreweries in the country. Non-EU countries such as Switzerland and Turkey are likely to grow significantly at a CAGR of +12% over the forecast period.